Made in the USA from superior metals and manufacturing processes. 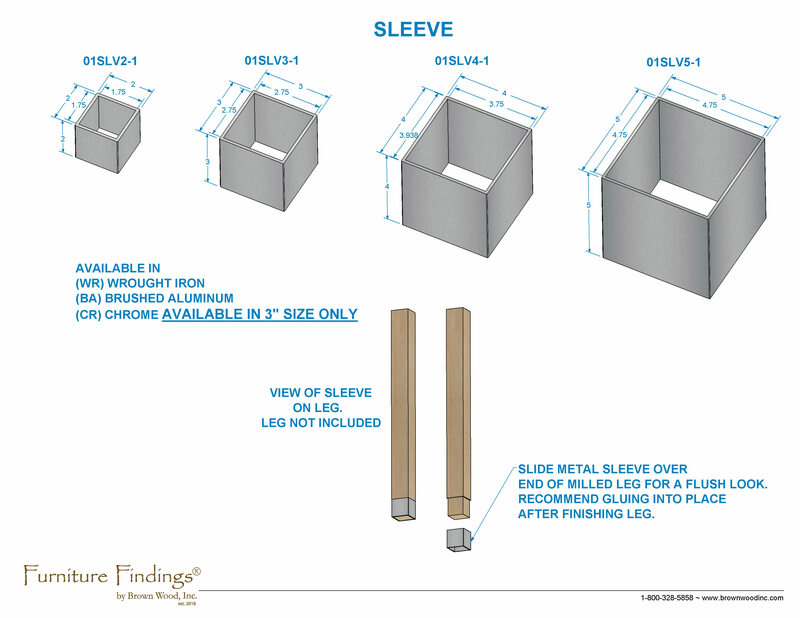 Use metal sleeves to protect the bottom of square legs from wear and tear. Can be used on existing 3" square column or with 3" dadoed leg.